Vast golf views from every room of this 3+ BR, 3.5BA home. One floor living with Master en Suite on the first floor. The true Foyer is open to the Formal DR & the Living Rm. The Living Rm boasts a wall of French doors with expansive golf views and cathedral ceiling. The Kitchen has a great layout, with island, double ovens, desk & wet bar. It is open to the informal dinging area and Family Rm with handsome brick FP and built-ins. Half BA for guests. Master en Suite is gracious with windows and window seat the entire length of the room that lets beautiful outside views in. Two large walk-in closets. New Roof in 2018. Whole house re-plumbed. 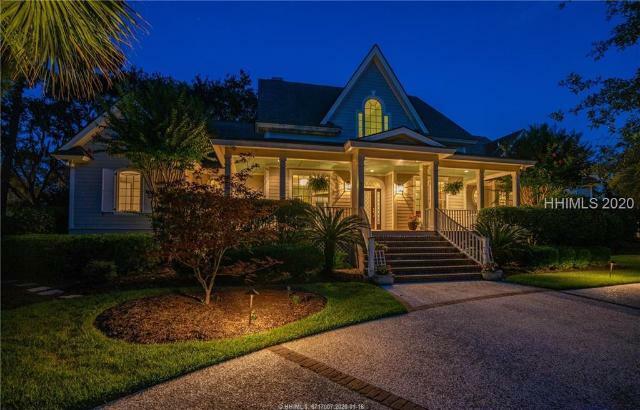 LOWCOUNTRY STYLE custom home. This fabulous home offers 4 bedrooms, 2 -+ baths on one level, along with a bonus room, another full bath and lots of walk in storage on the second floor. Open floor plan, high ceilings, hardwood floors, plantation shutters, kitchen has granite countertops, stainless appliances and a walk in pantry. Large master suite is separate from guest bedrooms. Two car plus golf cart garage. Membership in the Dataw Island Club is required. SELLER WILLING TO PAY $17,500 CLUB MEMBERSHIP FEE! Enjoy your peaceful mornings and tranquil evenings on the large rear deck overlooking Cotton Dike #15. Live the wonderful Dataw Island lifestyle in this well maintained home. With three bedrooms, three and a half baths plus a bonus room, this lovely home offers approximately 3000 sq. ft. Some of the special features include a bright enclosed porch with a high ceiling, beautiful hardwood floors, open floor plan for easy entertaining, split bedrooms, two fireplaces, large master suite with separate vanities, whirlpool tub and his and her closets. Club membership required. Find your own piece of island paradise in this beautiful new construction home from Logan Homes. Exceptional quality in a lovely home that fits right in on this stunning island community. This has has the perfect amount of space downstairs with an open kitchen that features a beautiful granite island, a large living room complete with gas fireplace & built-in shelving, & 3 bedrooms. Upstairs you'll find a wonderful bonus space, with a large, private room with its own bathroom. Logan Homes does cover the $17,500 member initiation fee for you with the purchase of this home & even includes a 1 year builder warranty & 9 year structural warranty. Welcome home to this stunning three bedroom, two full bath home on Dataw Island with golf course and lagoon views from the oversized rear deck. Open floor plan. Impressive kitchen remodel with light and bright cabinetry, stainless appliances and gorgeous backsplash. Family room offers a wood burning fireplace, built ins and wood flooring. Master suite with custom closets. Screened porch. 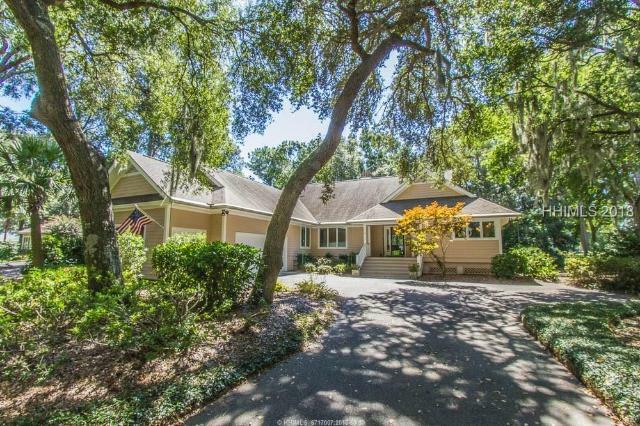 Enjoy the lovely marsh, water and spectacular sunset views from this Lowcountry, one level home. From the welcoming front porch you will be greeted by a large great room with high ceilings. There is a formal dining room, while the kitchen opens to another dining area and then onto a large screened porch and expansive deck. This will be a favorite place to entertain and relax with family and friends. The master bedroom has a large walk-in closet and generous master bath while the guest bedrooms are on the opposite side of the home. This home is priced for you to update to suit your taste. Membership in the Dataw Island Club is required. 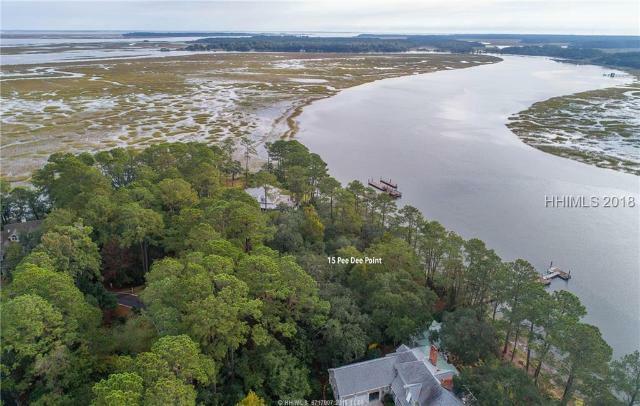 Relaxing water views and the fairway of 17 across the rear of this classic style Low Country home. Front porches and dormer windows are framed in Mature trees and lovely landscape. The entry foyer greets you with a outstanding view. Formal Dining room and Living Room are bright and cheerful featuring a fireplace, Built in cabinetry and wood floors. The remodeled kitchen w/ Shaker cabinets, granite surfaces and stainless appliances opens to the breakfast area full of windows. First floor owners suite is comfortable and has oversized closet. A family room and office take in the lagoon views. This split floor plan home offers 3 bdrms & 2 baths & has a great space for entertaining with its open kitchen & living area. Some features include wide plank wood floors, high ceilings, lots of large windows that allow sunlight & the beautiful landscaping from the outside to be enjoyed inside. The master suite has an additional space for a sitting room/office. A nice size tabby deck runs along the rear of home providing an ideal place to entertain or just relax & enjoy a cup of coffee. A private crabbing dock allows you to enjoy and delight in your splendid marsh location on Dataw Island. Membership in the Dataw Island Club is required.